Hello there! well, it’s been a while since I dropped by. But, I have been very busy and have lots of news, patterns and “secrets” to share. First of all, I still have a few copies of the “Woman’s Weekly Guide to Crochet” for sale via Etsy. You can order a signed copy, with a personalised message here (just let me know the message you’d like me to write on the “Message to seller” option. 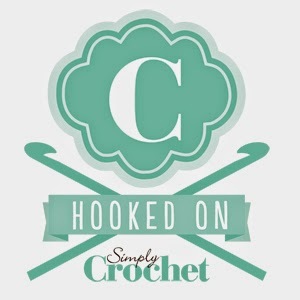 Otherwise your book will be signed “Happy crocheting! Best wishes, Tracey Todhunter”. Sorry, this offer is only available for UK delivery. Order by 10th November for guaranteed delivery before Christmas as I will be closing the shop after that date. Pre order my new book on Amazon (or your favourite bookseller)! Due for publication in January, “200 More Crochet Stitches” will take you though texture, lace, cables and more! I will be taking orders for signed copies in January and there will be a few events to promote the book confirmed soon (including a top secret” TV appearance … watch this space!) 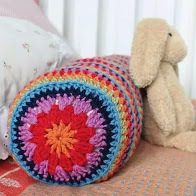 Each stitch has a close up photo, chart and step by step written instructions and I wrote it with newbie crocheters in mind, so there is something for everyone. Every month through 2019 I shall be giving you ideas of projects you can make using the stitches in this book. Some of you will also know that “Crochet. Learn It, Love It” will be available in the UK from the end of December (this is the same content as the Woman’s Weekly edition, but with a new name and a new cover). I shall also have copies of this available in January. Finally, I have something special planned for December. Every day I shall be adding a new crochet decoration to my crochet advent garland and I’ll be posting the patterns here (some free, but one or two paid for patterns). I know some of you get very nervous about following written instructions, so there will be a few photos, tips and friendly advice to help you. You’ll be able to find the latest pattern here on the blog, with photos on Instagram and Facebook – share your makes with the hashtag #grannycoolcrochet – and my favourites will win a small prize! Oh – and I almost forgot – I have just confirmed my first workshop dates for January at Ditzy Rose Makery in Tattenhall, Cheshire. 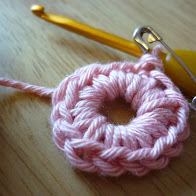 We’ll be running a three week crochet for complete beginners starting on the last Friday in January. I’ll be posting more details soon.